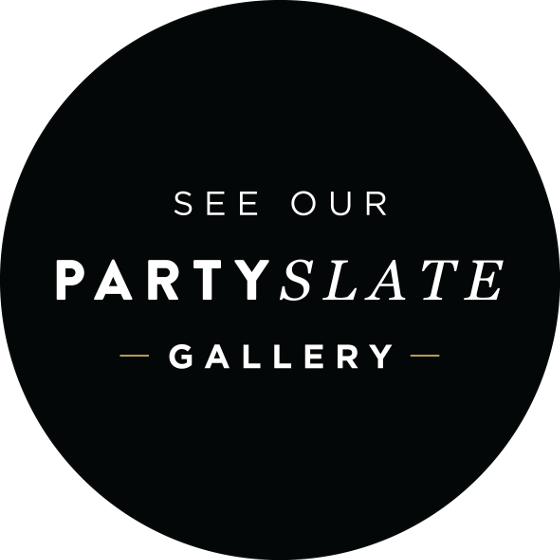 Thank you PartySlate for this wonderful accolade. I'm so tickled pink. It's hard for me to put this into words as I adore so many of those on this list. 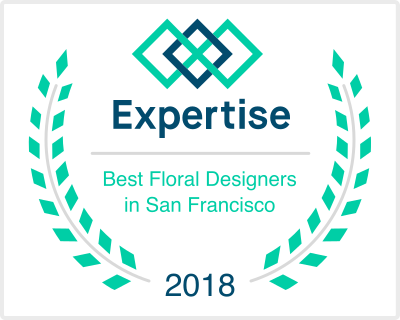 From David Beahm who is one of the best of the best, Preston Bailey who inspired and moved the industry forward with his designs, Todd Fiscus who is such an amazing person through and through and Mindy Rice who I admire so much. I'm just lucky to represent the great San Francisco. Thank you so much to Julie and all those involved in putting together such a tremendous list. A recent cherished event of Chin’s was a surprise wedding she planned for a professional basketball player for her favorite team. “It was extra special for me that he wore the boutonnière that I made when he wasn’t so sure he wanted to wear any flowers on his lapel. It was a nice surprise when I saw him wear it!” she says. Her team enjoyed working with the down-to-earth couple to choose meaningful details all the way down to photo booth décor. Liu Chin gathers inspiration from her favorite spots in Asia and Mexico. She says, “I love Vietnam because of the rich history and the food!” and everyone who knows her knows that Cabo — especially the One and Only Palmilla — is her happy place. Sharing one of my favorite Style Me Pretty Real Weddings featured on the SMP blog on March 2018. 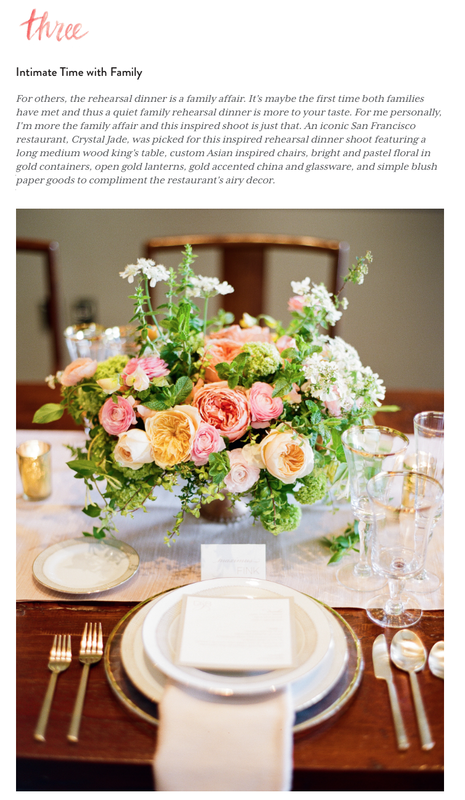 A wedding with peach pink peonies dotting the bouquets designed by Nancy Liu Chin, individual cheeseboards crafted by Jessica Lasky, AND rosé housemade by Gundlach Bundschu Winery...Am I dreaming!? No, this practically perfect celebration captured by Sylvie Gil Photography is real life – I just pinched myself to double check. 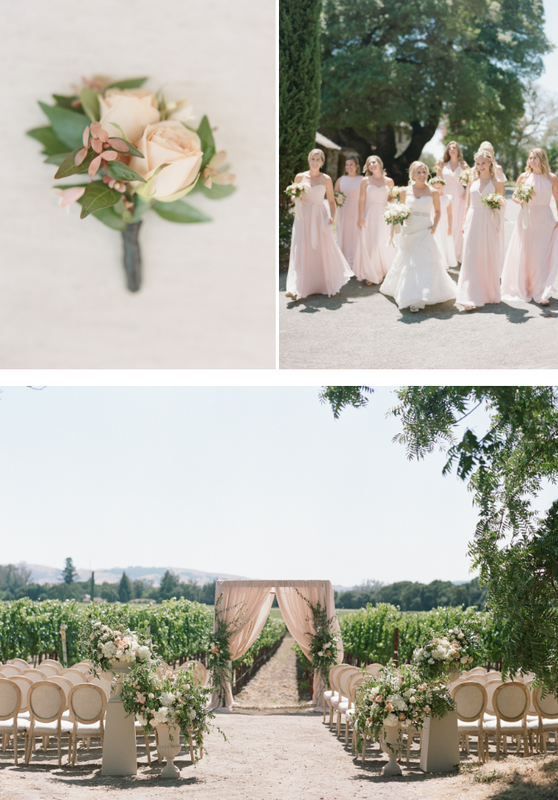 From Sylvie Gil Photography... Candice and Matt's wedding day was a dreamy, sunlit affair on the idyllic grounds of the Gundlach Bundschu Winery. 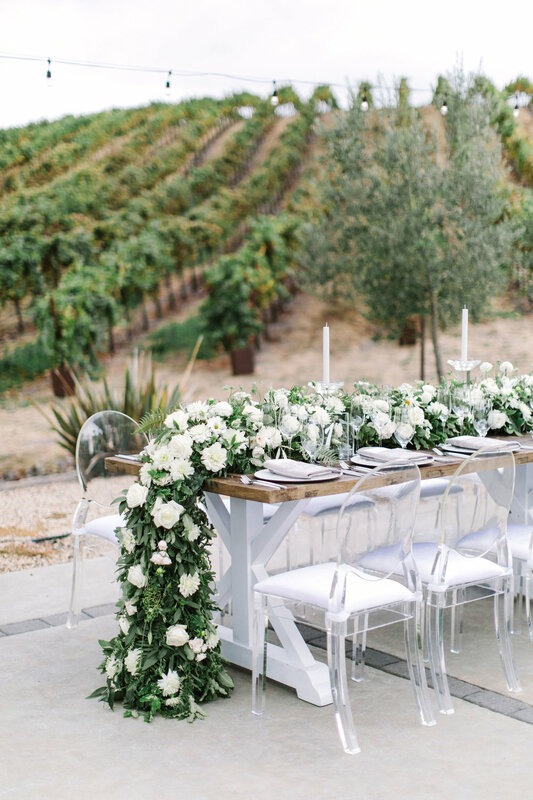 The couple said their vows under a flowy, blush awning, beneath the warm summer sun, among the grapevine trellises. Bridesmaids matched in blush gowns, and peach pink peonies studded each delicate bouquet. Each guest received their own summery cheeseboard for appetizers, designed by Jessica Lasky. Gundlach Bundschu stocked house-made rosé at the bar. Honored to be part of this Style Me Pretty feature. And of course, it takes a village to create such magic. 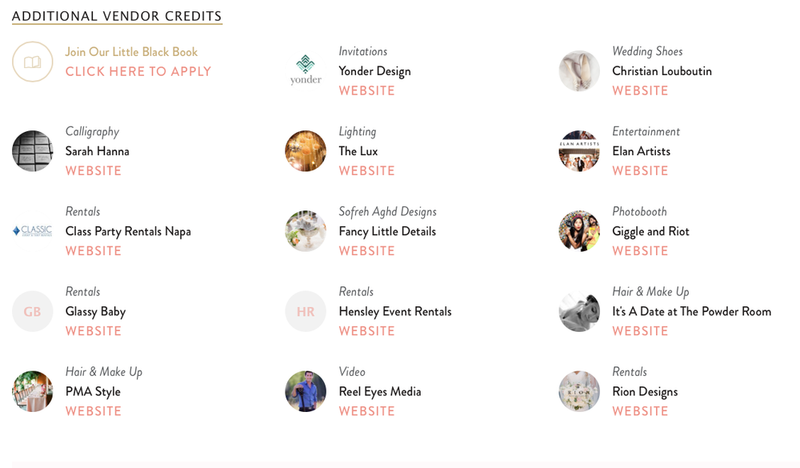 Here are some of the key vendors behind this incredible Sonoma wedding photographed by good friend Sylvie Gil. 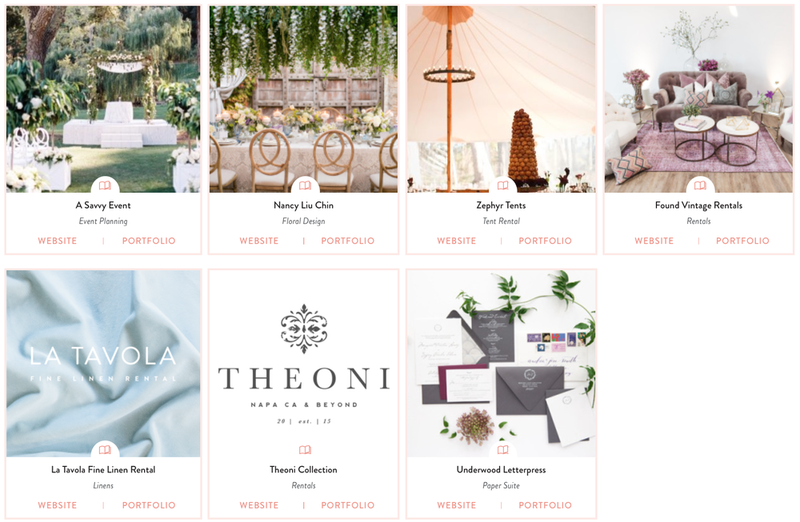 The other incredible vendors who were all part of Candice and Matt's summer wedding. Sharing this wonderful article from Style Me Pretty which was published on Marcy 2017. There's quite a bit that goes into planning a wedding day itself. 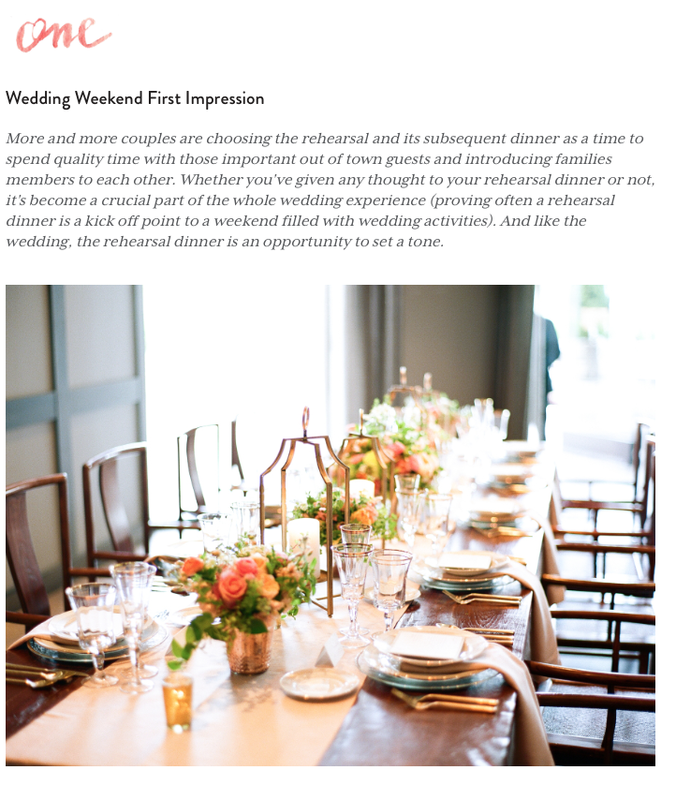 And then, you have to consider all of the events leading up to your Big Day, including the last hurrah—the rehearsal dinner. 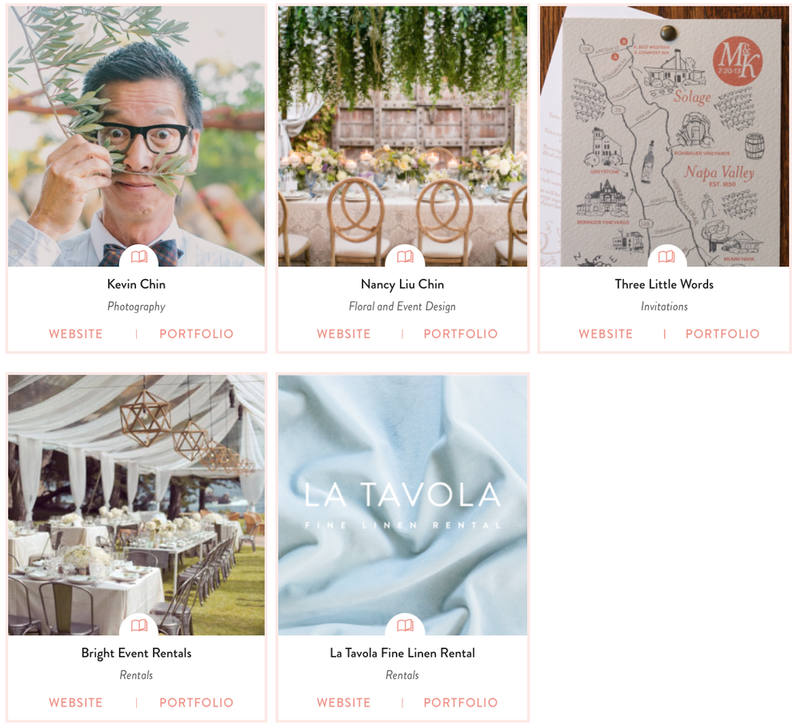 If you're on the edge like I was, we've got Nancy Liu Chin joining us today with three very good reasons to do one, including a bit of tablescape candy thanks to Bright Event Rentals, La Tavola and Three Little Words. Head to The Vault for the full gallery captured by Kevin Chin! Working with these great vendors was a dream.